Size: M, Color: Dark Berry Purple/Granite Heather (Purple) is currently out of stock! 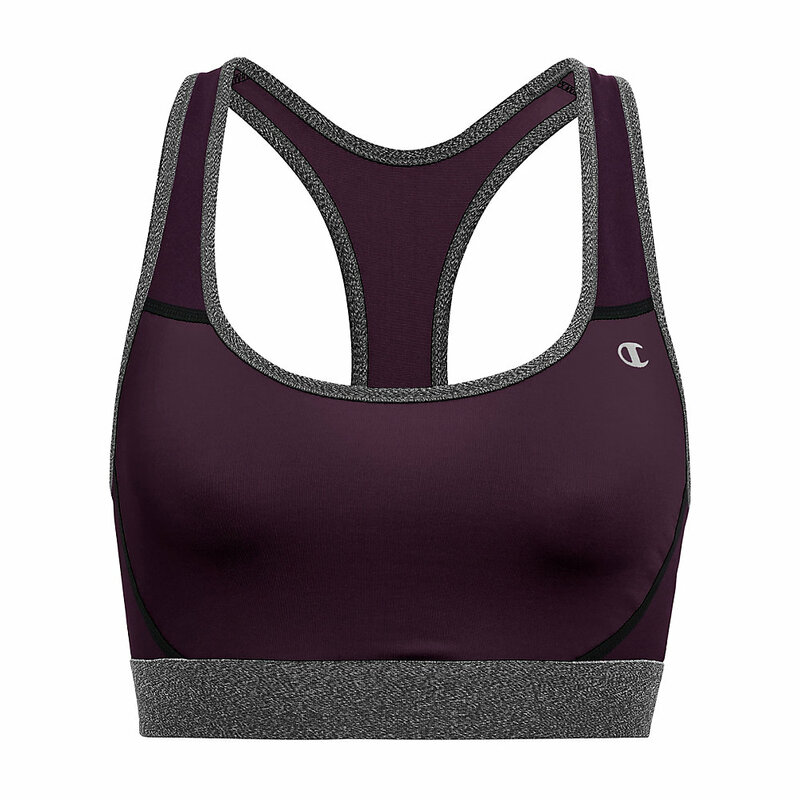 Size: S, Color: Dark Berry Purple/Granite Heather (Purple) is currently out of stock! 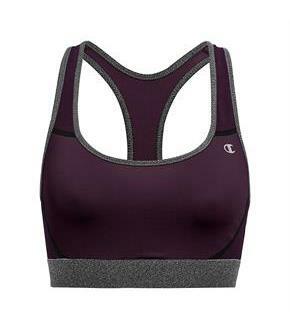 A Must HaveThe Absolute Workout does it all, this bra provides support with a compression fit, plus drier, cooler comfort.Champion Vapor technology wicks sweat and dries quickly for superior comfort.Compression fit helps stabilize the bust whether you're cycling or in the gym.Smooth, chafe-resistant bottom band is brushed inside for extra softness.Double layer cups provide confident Moderate Support.Pullover racerback allows flexible range of motion.Reflective C logo.